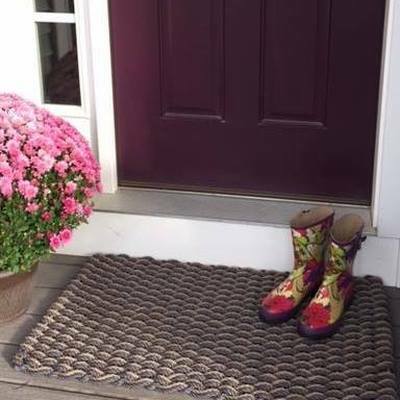 A Cape Cod Doormat is a great way to celebrate a holiday, pay tribute/support of a meaningful cause and is a warm and wonderful way to greet your guests! It's the first sign that your family and guests will see as they approach and come through your doorway. If you're looking for a different color combination or size, please contact us at 1-800-882-1181 and we'll make exactly what you are looking for.